I'd like to welcome author Maddie Dawson to Book Club Exchange, a feature on Booking Mama which highlights anything and everything book club-related! 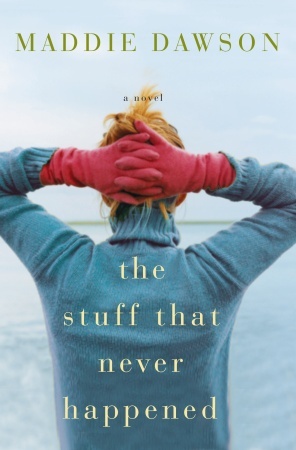 Last summer, I reviewed Ms. Dawson's debut novel THE STUFF THAT NEVER HAPPENED, and I found it to be a beautifully written novel. You can read my review here. Ms. Dawson has written a fantastic guest post about her experiences with book clubs. She opens up about what book clubs mean to her as well as how different groups have reacted to the character of Annabelle McKay. (I loved that Ms. Dawson admitted that Annabelle exasperates her because I had a similar reaction!) One thing's for sure...Annabelle is a fascinating character and one that is worthy of a great deal of discussion. I think you'll get my drift after reading Ms. Dawson's essay. First, thank you so much for inviting me to come and be a visiting poster on your wonderful blog. It’s such a pleasure to be here, talking about two of my favorite things: writing and book clubs. Here’s the thing I love the most about visiting book clubs. It’s not the wine, or the cheese, or even being in the presence of so many people who love books as much as I do—although all of those things are wonderful. Like a lot of imaginary people who are auditioning to be in a novel, at first she just told me her troubles: she was married to Grant McKay, a history professor she’d been married to forever, and now that the kids had left home, he ignored her. And even though she had her own work to do and her love for their children to sustain her, somehow she’d started thinking again about a man she’d fallen in love with back in the early troubled days of her marriage, a man she’d cheated on her husband with. Yes, I’m afraid she had cheated on her young husband. And yes, she had even run away from her marriage to be with the other man. But then, after several years, she and Grant had reconciled, and making a pact never to speak of that ill-advised time again, and they’d raised a family and had a happy marriage. But now—well, now she was at that stage of life when she was just wondering what the rest of her life was going to bring. As she looks at her daughter’s fledgling troubled marriage, she wonders: Does marriage even work? And is it enough to stay with a man who is still angry with her and won’t talk about it? What does one truly owe to one’s family once the kids are grown, and what does a person owe to herself? Book clubs seem to love to talk about this problem. I can often see the camps dividing up: those who see Annabelle as spoiled and faithless, a woman who doesn’t deserve her hard-working husband, even though he’s inattentive and aloof—and those who feel that long-term marriages go through all kinds of troubles and that couples have to learn a way to communicate, even when the trouble is infidelity. There are even those people—and most of them are men, I’ve been surprised to realize—who feel that Grant was the one who failed his wife, and that he needs to “step up to the plate,” as one man in his sixties put it. I always say the thing I truly believe, which is that it’s complicated. Marriages are nothing if not landmines of emotional intrigue, and, let’s face it: all couples have to figure out on their own what it takes to survive. As we’ve seen by the 50 percent divorce rate, and the recent spate of news items about even stable, long-term marriages falling apart, quite a few unions crash and burn. But even the ones that last go through stages and compromises. There is no one-size-fits-all. Which is, of course, what makes marriage and infidelity so intriguing to write about: it hits us all in our most vulnerable relationship. I love being part of these discussions. I love seeing people having a conversation that maybe they wouldn’t have had otherwise, had they not truly believed in Annabelle’s dilemma—my own personal Annabelle, a character who simply sprang into my head one day. Love her or hate her, they believe in her. But there’s another thing, too, perhaps for me the best thing of all. With every book group I’ve spoken to, there’s always a woman who takes me aside with tears in her eyes after the meeting, or who emails me later, and says, “I am Annabelle. I fell in love with someone other than my husband. I know what that means. I am her.” And then they talk about the heartbreaking problem of loving two people and of keeping a secret, and I feel so honored to be trusted with this story. I haven’t lived through what Annabelle lived through, but I believe in her. And when a real-life person says, “Yes, that’s what it is like for me, too,” then I know why I’m so grateful to be a writer. 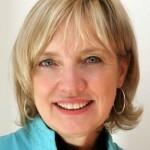 A huge thanks to Ms. Dawson for writing this wonderful guest post. Giveaway alert: The publisher has graciously offered to provide copies of THE STUFF THAT NEVER HAPPENED for three lucky readers. To enter, just fill out the form below before Monday, August 15th at 11:59 p.m. ET. I will randomly select and notify the winners the following day. Contest is open to those of you with U.S. and Canada addresses only. Good luck! I loved The Stuff that Never Happened and bet it would make a wonderful book club pick! It sounds like it really strikes a chord with some readers! This sounds amazing... I love book club reads that bring our emotions and good discussion.